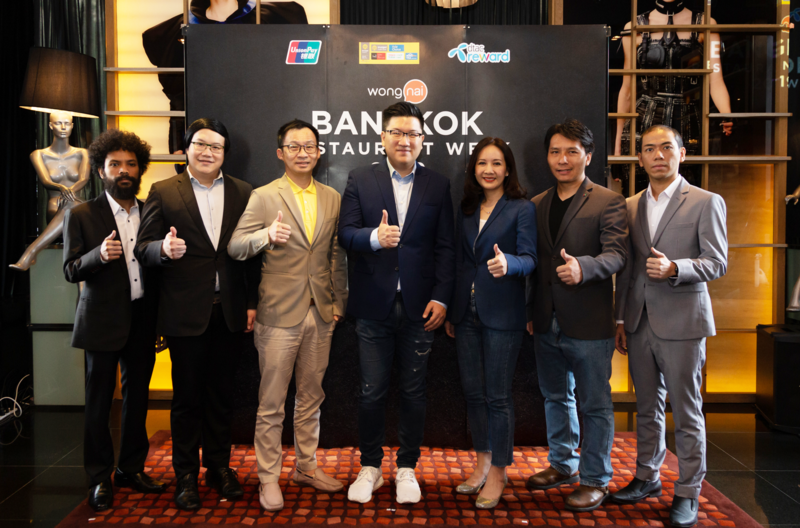 VIE Hotel Bangkok, MGallery by Sofitel, represented by Head of Marketing and Communications, Mr. Nuntakorn Chang (2nd from left), in cooperation with Wongnai Media Co., Ltd., led by Mr. Yod Chinsupakul (center), Chief Executive Officer and Co-Founder, along with supporting partners recently launched Wongnai Bangkok Restaurant Week 2019, which is a very successful campaign offering great deals from over 50 restaurants in Bangkok, ranging from trendy newcomers to some of the best fine dining restaurants. 3. Mr. Chaiyapol Glitayawanit, Senior Vice President – Marketing for Krungsriayudhya Card Co., Ltd.
4. 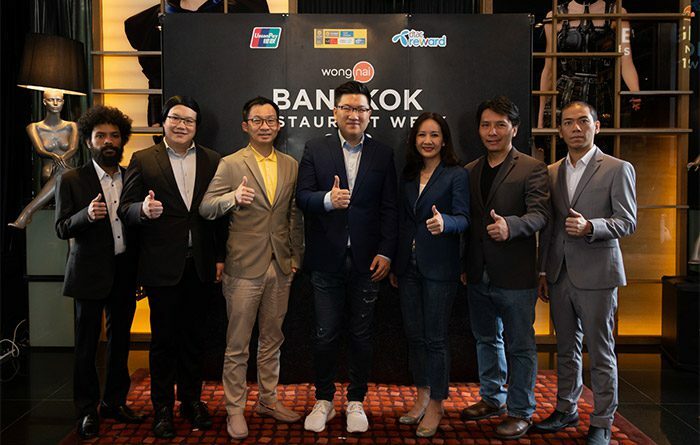 Mr. Yod Chinsupakul, Chief Executive Officer and Co-Founder of Wongnai Media Co., Ltd.
6. Mr. Zheng Pingfu, Country Manager for UnionPay International Co., Ltd.
7. Mr. Jedsada Thanasitthipan, Chief Financial Officer of Wongnai Media Co., Ltd.